A Universal monster film meets an influential science fiction film. A new adventure begins a new year of Double Feature. The very last holdover. Monte Legaspi is doing something interesting. Bella Lugosi’s dead. Before the days of don’t show the monster. What made Dracula an icon, and what made Bella Lugosi Dracula. The legacy of Tod Browning’s Dracula. Creep factor. Michael’s newfound love of Silent Running. Hanging out with the bunnies in the park. Bruce Dern: crazy person? Just how insane is nature? Sacrificing humanity. Every person’s limit. Tiny droids with tiny connections to To Browning. Finding out what makes the character tick. Relationship development and motivation. Caring about the environment. Double Feature finally gets some real producers! In a future where all flora is extinct on Earth, an astronaut is given orders to destroy the last of Earth's plant life being kept in a greenhouse on board a spacecraft. 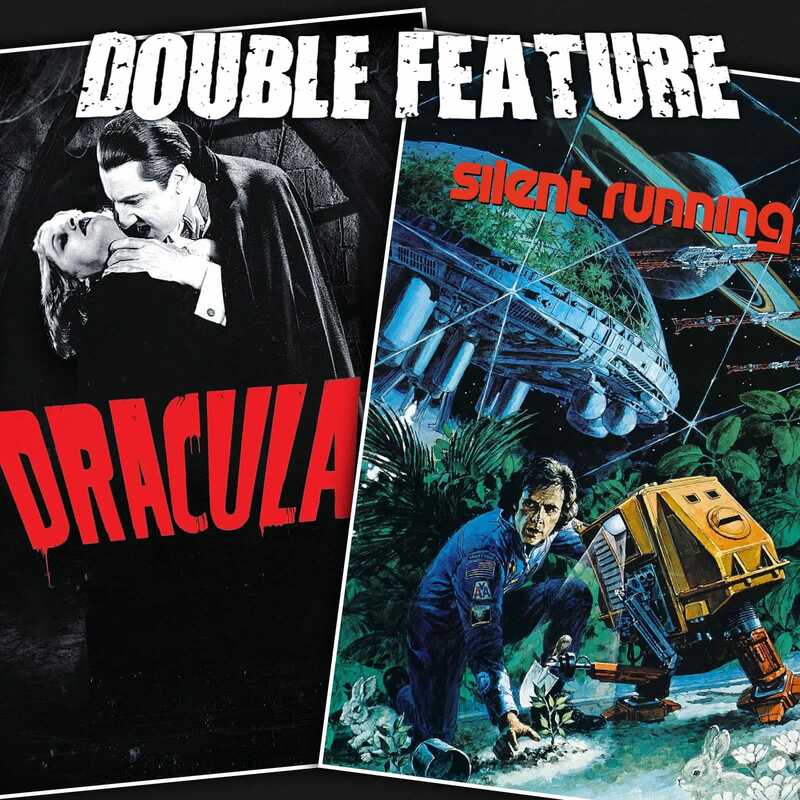 This entry was posted in All Podcasts, Universal Monsters + Classic Sci-Fi, Year 6 and tagged Tod Browning. Bookmark the permalink.